We love anything to do with fresh ingredients at Mega Charcoal, and that spooky time of year is just around the corner… Halloween! A time for scary costumes, trick or treating and the fun family activity of pumpkin picking. 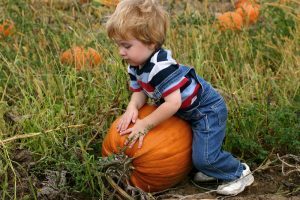 During October many farms and parks will be opening their pumpkin patches for you to roam free and choose your own pumpkin. 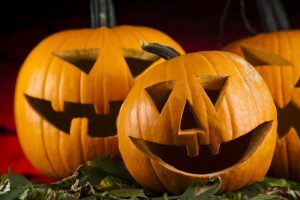 This is much more exciting than going to your local supermarket and there are lots of Halloween themed activities including pumpkin carving and face painting. Below is an interactive map which shows you the best places to go pumpkin picking this year near Cheshunt. Mega Charcoal Grill is on the map as a guide to where the pumpkin patches are in relation to Cheshunt. Click on each pumpkin icon to show all the details you need. This farm is a 22-minute drive from Cheshunt and is packed full of family-friendly activities. They have a Pumpkin Festival which begins on 21st October and ends on 29th October. During this time children can go and pick a free pumpkin from the patch and go to the carving cavern to create their masterpiece! Entry into the farm is £16.50 for adults and £17.50 for children. The tickets are all inclusive giving you entry to all the activities on the farm. This includes pumpkin picking and carving, pumpkin olympics, children’s rides, Peter Rabbit adventure playground, shows, farm animals and play areas. The pumpkin patch at The Pop Up Farm opens on 7th/8th October and then from 14th-31st October. It is a 29- minute drive from Cheshunt. Head down to the farm and follow a fact-finding track to the wheelbarrow area. Then head out to the patch and select your pumpkins. Once your pumpkins are picked you can weigh them and take pictures on the pumpkin sofas. A fun day out for all the family with free entry for adults and children, you simply pay for the pumpkins you pick. Come down to the Spookfest at Aldenham Country Park, just a 30-minute drive from Cheshunt. The event will run from 21st October to the 29th October and every day during half term. During the festival there will be pumpkin picking and carving, a spooky shack, horrid hay ride, ghoul hunting quiz, face painting, bale maze and much more! Spookfest entry costs £4 for adults and £2.50 for children. Pumpkin picking and carving costs £4 per person. This is a great event that is sure to provide lots of spooky fun for the kids. This pumpkin patch is a 33-minute drive from Cheshunt and opens from 3rd October to the 31st October (closed on Mondays). Entry to the patch is free (you just pay for the pumpkins) and activities include a spooky maize maze and face painting. Free pumpkin patch trailer rides are also being offered on certain dates which takes you out to the patch to cut your own pumpkin from the vine. 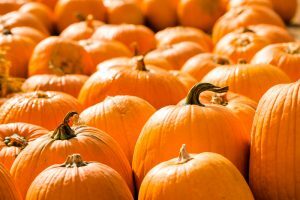 Foxes Farm is 36-minutes away from Cheshunt and their pumpkin patch opens every weekend from 30th September-29th October and every day during half term. Entry to the pumpkin patch is free, you only pay for the pumpkins you choose. There are also pumpkin games near the patch and Halloween themed food and drink. An enjoyable day out for all. We are passionate about fresh produce at Mega Charcoal Grill and think going out to pick fresh fruit and vegetables direct from the source is a brilliant idea. When carving your pumpkins save the fleshy inside and seeds and make some delicious dishes. Ideas include pumpkin soup, pumpkin pie, and roasted seeds. Why not head down to us after a fun day of pumpkin picking and grab some food for your evening of pumpkin carving!